Attracting and amassing wealth, abundance and happiness is a process that can be achieved one step at a time. The best approach to adopt is by adopting and implementing one little thought at a time as provided in the law of attraction. In this article, we provide simple ways that work in your favor in the quest for wealth and happiness. The mind is a powerful thing and will propel you to achieve greater things. Miracles do not happen except by believing in the mind and at heart. When you are writing down what you want to manifest and achieve, positive energy comes from within. This is an anticipation of your desire and a trigger to your subconscious will ensure you attain what you want faster. Your wealth and financial breakthrough are highly influenced by your subconscious. This is because we are who we think we are since as a man thinks, so he becomes. Before going to sleep, it is important to tune your mind to a positive achievement through repeating the words wealth, success, money, and happiness. The repetition of these words slowly will assure your brain that you are on a positive track to achieving your goals. You should always try to lull yourself to sleep with this positivity that is achieved through the repetition of these words. These words will then be brought from your subconscious mind into your conscious mind and eventually become a reality. Most of the lives are spent working. It will be a shame if all this hard work comes with no benefits of accumulating and amassing wealth and happiness. Thus, it is essential to determine what you love to do and focus your attention, mind, and energy into doing it to the fullest. A sense of achievement is not attained by how hard you work or the amount of money you make. It is a result of how much you enjoy doing the things that you do. In this case, fulfillment will bring about joy and joy will result in total fulfillment. When the mind, body, and spirit are aligned in fulfillment, it is the pinnacle of success and human achievement. 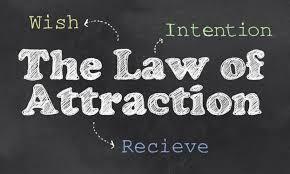 This will help in attracting more abundance into your life.